Luceco LED IP65 Slimline Guardian Floodlight 8W White 600lm is rated 4.9 out of 5 by 17. 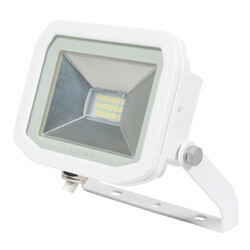 Rated 5 out of 5 by Bobbie Joe from Really bright This is a REALLY bright light - one of the best I have found. The quality is excellent and it is quite heavy. The fixing bracket works well and tightens to hold the light in place. My only query is very minor - the light colour is very white and cold. 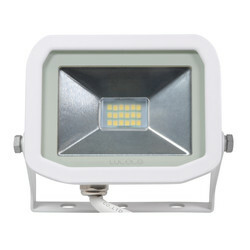 Not too much of a problem outside, but different to a halogen floodlight. Rated 5 out of 5 by JT99 from A very nice little unit A very good light and it feels strong and solid. 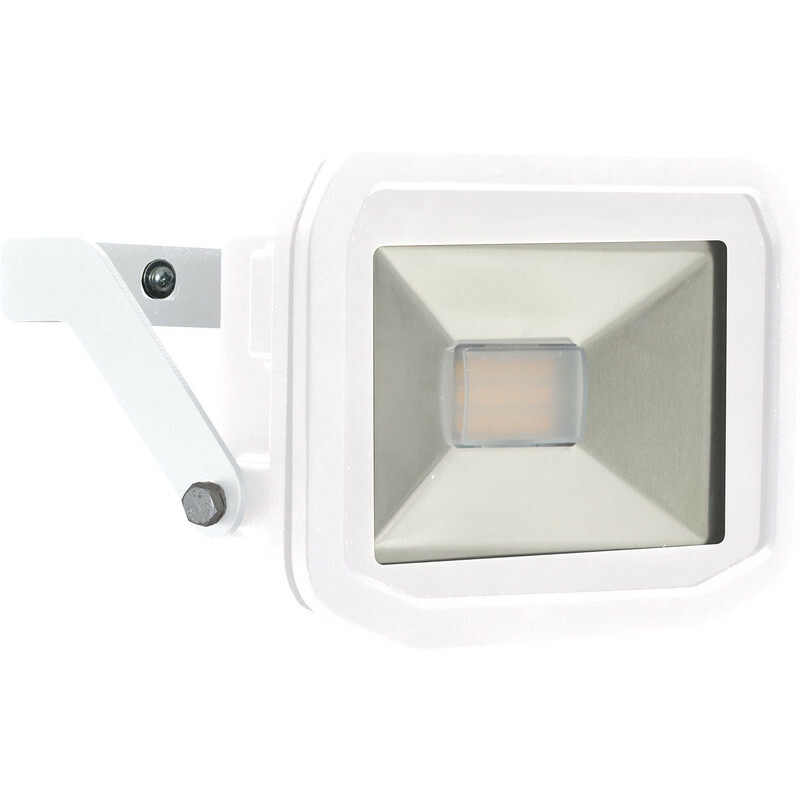 Easy to fit and gives a great level of illumination at night. I have fitted it on the front of my property after having my car broken into. I wanted something that was not an 'eyesore' and this fitted the bill. Rated 5 out of 5 by Ron24 from good ptoduct very good product easy to install and at the right price. Rated 5 out of 5 by memeself from Very good quality Bought this to replace a damaged outdoor light which was just on ordinary led e27 bulbs. Impressed by the quality. Does the job perfectly. Rated 4 out of 5 by Halo from Compact Floodlight that is not too bright Fitted this a couple of days after purchasing it. Easy to install, very compact. Blends in seamlessly with my white wall. I mounted it on an adjustable Fitting so it has vertical and horizontal adjustment allowing me to redirect the beam easily. Very pleased with it.